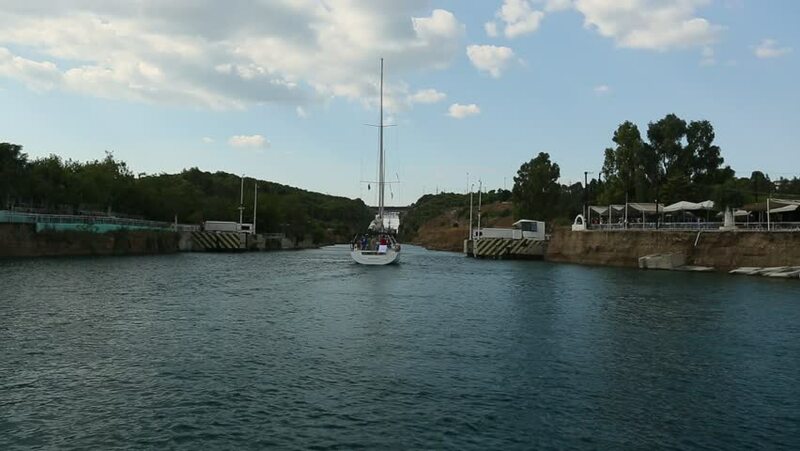 Crossing with sailing yacht trough the Corinth Canal from the Saronic Gulf in the Aegean Sea, Greece. 4k00:14Small boats run by young people. Competition. Yachts sail to the sea. Regatta. Races of sailing sports courts.